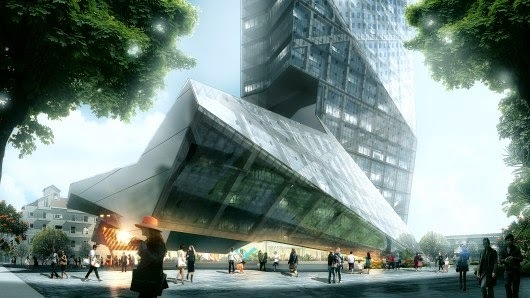 Morphosis Architects latest works in Shenzhen is currently under construction. 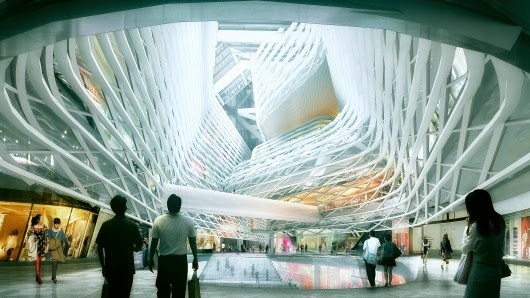 Through the folding of its steel structure, “Hanking Center Tower” merges commercial retail with private office space. 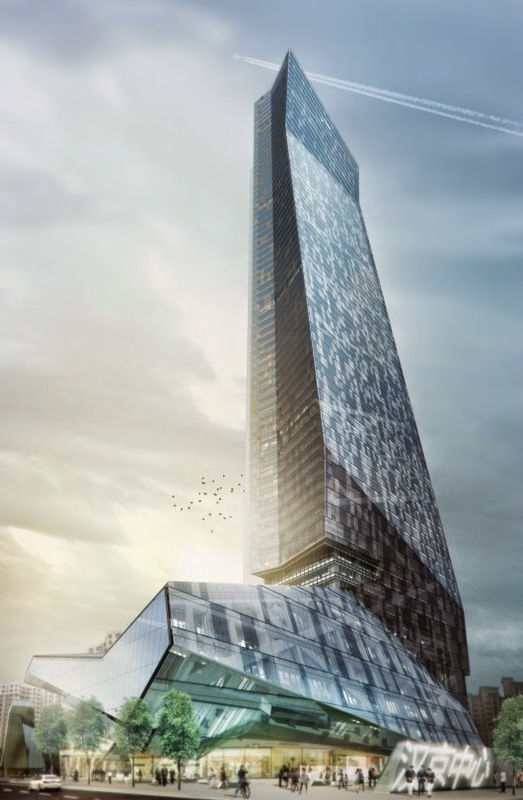 It is a skyscraper designed with the notion of breaking away from conventional modern office buildings. With innovative approach to circulation, social, and work spaces, Hanking Center Tower rethinks the traditional commercial office building typology. The project offers flexible tower office space anchored by high-end retail and dining in the podium. The tower brings density to the suburb of Nanshan and acts as a response to Shenzhen’s growing body of global professionals. Located on a prominent piece of land along Shennan Boulevard, Hanking Tower’s slender profile redefines the local skyline. Conventional towers often have separate and disjointed volumes defining their various programs while Morphosis’s tower utilizes folded angles to elegantly merge public components in the podium with private commercial space in the tower. A grand plaza surrounds the tower’s podium enhancing public activity at the street level. The interior is the result of an aspiration to create strong and humane communities with glazed lobbies and skygardens every five floors act as a communal hubs for use by all tenants. Space planning flexibility with natural light and ventilation offers healthier working environments. The masterpiece of the interior has got to be the sun-lit atrium that brings in nature into the building.